The tagline for the website Inhabitat is “Green Design Will Save the World.” This “carbon fiber hybrid yacht” shows the shallowness of that philosophy. But I don’t want to rail against Inhabitat, which I find consistently interesting and informative. And I’m sure (I hope) they don’t see their tagline as more than a catchy slogan – which it is – don’t mistake it for a complete solution. So, instead what I want to focus on is this yacht itself, what its creation and celebration seem to me to indicate – which is simply green consumerism at its worst. The term “green consumerism” can cover a wide range of phenomena, may of them positive. We all need to be “green consumers” when we shop. But really greening our world, achieving some sort of sustainable, permaculture life(style), is going to be a bit more complicated than swapping out all our batteries for rechargeables, our lightbulbs for CFLs or LEDs, and making sure that our snacks come in compostable bags (hopefully quiet ones). Or sailing in hybrid luxury yachts rather than regular diesel ones. Greening our consumerism, if it is to lead to a genuinely sustainable future, will have to include a fundamental rethink of consumerism, of the kind of things we think we need or have to have. And also of how those things are produced and distributed. A wind-powered luxury yacht? The technology might be sweet, but there’s nothing green about this. 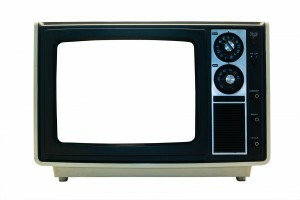 To take just one example, our addiction to toys like that “37 inch flat screen TV” means that the United States’ energy consumption is the same now as it was 30 or 40 years ago, despite all the Energy Star-type improvements in efficiency. What we’ve saved with our refrigerator and washer, we’ve blown on our TVs and toys. On a deeper level, yachts have always been emblems of wealth and privilege, and this “green design” yacht is no different. The structures of money and power that are driving us to ever increasing income inequalities are the same structures that are driving much of the climate change. They may enjoy driving us in hybrid vehicles, but that is the wrong direction to go if we want to save the world. Some people may see “green” when they look at this hybrid yacht, but all I see is the yacht, the privilege and waste. I see red. SunChips not-so-quietly buries its noisy compostable bags | Grist. US Home Energy Efficiency Improved Since 1970, So Why Are The Bills The Same? : TreeHugger. “Are air fresheners bad for the environment?” – Do you really need to ask? Yes. Of course. What did you think? manufacturers don’t have to reveal exactly what’s in their fragrance recipes, and some of them don’t even know the ingredients themselves. Many purchase their scents from a half-dozen or so major fragrance houses worldwide. The fragrance houses often make their customers promise not to chemically analyze their super-secret blends, or at least not to disclose the recipe. Palmer goes on to discuss some of the chemicals found in these air freshers and some of the health and other issues associated with those chemicals – phthalates (hormone-disrupting), volatile organic compounds (VOCs) and acetaldehyde. ﻿But are health impacts really what people have in mind – the first or main thing they have in mind, anyway – when they talk about environmental impact? The original question posed to “The Green Lantern” – about “despoiling the planet” – would seem to have more to do with issues like air and water pollution, resource depletion, carbon footprint and so on than personal health impacts. The truth is, though, that we don’t need to think too hard to answer that question. Just look at them sitting on the shelf at Walgreen’s and Safeway: little plastic containers of chemicals, in cardboard boxes, probably made in China or Indonesia or someplace like that, shipped halfway around the world… Do we really need to ask if they are bad for our environment? I don’t like stink any more than anyone else. (Though clearly I am less fussed about it… I prefer the smell of my sweaty underarms to using chemicals to stop the sweat or mask the smell.) I particularly dislike the smell of the cat litter. That and fly-blown rotten potatoes – though that seldom comes up in my current situation. But artificial air fresheners (as opposed to, say, DIY potpourri) are, generally speaking, one of the many, many products that we really could live without, and should seriously consider giving up. All of these products – even if they are locally made and not stuffed full of harmful chemicals – are going to have an impact on the planet. Energy and water are going to be used in their manufacture, if nothing else – and we now need to face the fact that we are over-extended, that we have overshot the carrying capacity of the planet, that we are using up resources too fast – and for what? For plug-in air fresheners? Air fresheners and a huge percentage of the vast array of products that line the shelves of our supermarkets, big box stores and Wal-Marts are part of a whole culture of consumerism that is consuming the planet. Make no mistake: I blame corporate capitalism more than the individual, and I think the answer to the crisis we face is going to have to be more profound than changes in our shopping list. But shopping lists are one of the places that change is going to have to take place. Completely trivial and off-topic: Did Slate Magazine have to get permission from DC Comics to use the name “The Green Lantern”? Whatever the answer, the use of that name in this context inevitably recalls the famous Dennis O’Neil-Neal Adams-created Green Lantern/Green Arrow team-up from the 1970s when a variety of contemporary political and social issues – including ecology – were taken on. The graphic novel release of those classic comics is out of print, but keep an eye out for its reprinting. Teaching Youngsters How to Read Advertising: “A federal agency is undertaking an effort to school youngsters in the ways of Madison Avenue. The Web site, Admongo.gov, will include several such ads in an effort to teach children to think through what an advertiser is trying to get them to do. A poster … will be distributed in classrooms to encourage children to visit the site. The initiative seeks to educate children in grades four through six — tweens, in the parlance of marketing — about how advertising works so they can make better, more informed choices when they shop or when they ask parents to shop on their behalf. A quick look at the site – Admongo.gov – shows that the main section consists of a Flash game – very much like other Flash games that my kid (and probably yours) plays. There are also separate sections, accessed through links in the top left, for parents and teachers. For starters, I’d like to know what they have to say about the above sample ad – used as an illustration in the New York Times article and apparently drawn from a set of sample ads provided by the site. 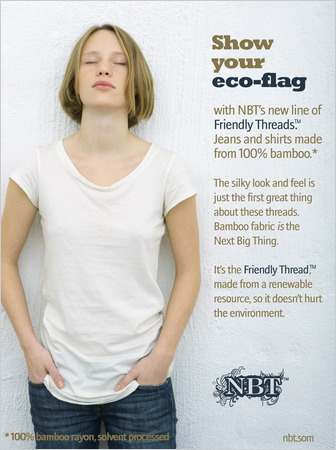 Looking just at the text on this made-up ad, I would imagine that the ideas of a “Next Big Thing” and an “eco-flag” might be things they discuss. But what struck me most forcibly about this ad was its use of the sexualization that has become such a problem in ads aimed at children. We will see if this is an issue they address – if not, I will have some serious issues to raise with Admongo.gov and the Federal Trade Commission. I would love input from other people about the site – if you check it out, be sure to let me know what you think. More indications of the way “green consumerism” is causing us to lose sight of the fundamental issues. Somehow Americans manage to turn every holiday — from Christmas to Valentine’s Day, Mother’s Day, Father’s Day, the 4th of July, Veterans Day, Memorial Day, so-called President’s Day and the rest — into a shopping opportunity. Perversely, this is now happening to Earth Day, as companies try to persuade us that we can shop our way to a cleaner, greener planet. via Earth Day, at the Mall | Business | GreenBiz.com. via On 40th Anniversary, Earth Day Is Big Business – NYTimes.com. Finding new ways to integrate sharing into our homes, neighborhoods, transportation, food, and other realms of life is one of the most powerful things we can do toward creating a more sustainable, equitable, and enjoyable world. At the same time, sharing brings interesting, yet worthwhile challenges. Figuring out what to share and with whom, sorting out sharing agreements, grappling with legal issues, planning for changes, and communicating collaboratively are some of the skills necessary to successful sharing arrangements. Please join us for a Sharing 101 workshop led by attorneys Janelle Orsi and Emily Doskow, authors of The Sharing Solution: How to Save Money, Simplify Your Life & Build Community (Nolo 2009). The workshop will explore ways of sharing cars, homes, yards, food, household goods, tasks, family care, work, and more. Bring your sharing ideas for discussion, or just come to explore the bold new world of sharing! Cost: $15 general, $10 Ecology Center members, no one turned away for lack of funds. Info: 510-548-2220 ext. 239, register@ecologycenter.org, http://ecologycenter.org/. I wanted to return to the topic of “kids and kommercialism” that I discussed in a number of earlier posts (cf, here, here, here), and in particular to talk a bit more about some ways of addressing problems associated with the pervasive marketing aimed at kids. Studies during the current and past recessions show that when they feel their wallets under siege, consumers tend to switch from premium, name brands to cheaper brands, generic and shop brands, and from high-end retailers or regular stores to discounters – in other words, from Advil to generic ibuprofen or a store brand; from Macy’s (USA) or David Jones (Australia) to Target and Wal-Mart. 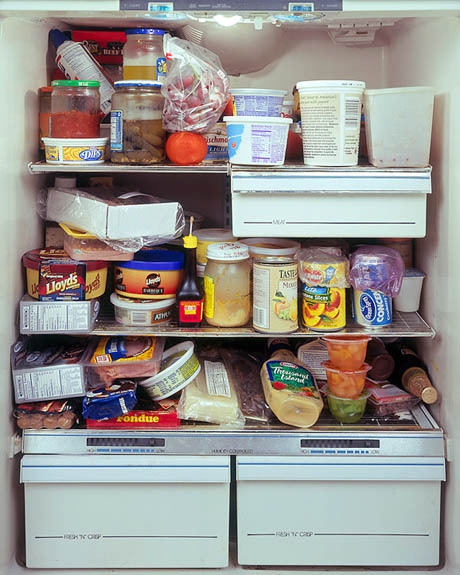 artificial refrigeration has radically redefined our relationship with fresh food, and not necessarily for the better. This post/article by Nicola Twilley in edible geography has a fascinating discussion of the impact of refrigeration on our understanding of freshness, as part of a larger discussion of designer Jihyun Ryou’s project at Design Academy Eindhoven, Save Food From The Refrigerator. The Spectacular Times is a series of pamphlets written/produced by Larry Law in the late 1970s/early 1980s that took the often abstruse ideas of a group of French radicals called “situationists” and explored them in concrete ways and easy(er) to understand language. They are generally considered to be one of the most accessible introductions to situationist ideas available.